Software Updates Do I Really Need Them? The simple straightforward answer is Yes. 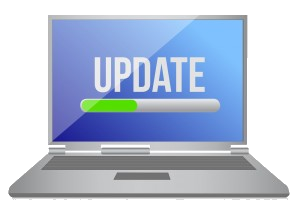 You need the updates which the software developer you are using release. Why? If that is your next question, below is an answer. The fact is, no matter the years of experience a developer has, no software/program is perfect. This means all softwares have bug, non is an exception. Bugs are also referred to as vulnerabilities. So if you find out the a software you are using have an update or patch, you should take necessary steps to install them. Hence you should not wait or expect the developer to have new features included to all updates. This is because most times updates are not for the purpose of new features but for security reasons. Remember, Updates are not Upgrades.